It’s anything but a quiet life for the “kosher cop” Peter Decker who left the Los Angeles Police Department after 35 years for Greenbury in upstate New York where things would be less hectic, or so he thought. But in the two years that he and his wife, Rina, have been there, he has had to deal with two homicides. So it’s not as bad as Los Angeles where the murder rate is high. While Decker is investigating reports of vandalism in a usually peaceful suburb where mainly pensioners live, he finds a body in the nearby woodlands. The problem, however, is one of jurisdiction, and the dead man, later identified as Brady Neil, 26, was found in the Hamilton precinct and he has to get permission to investigate and wants some interdepartmental co-operation. However, Hamilton’s police chief, Victor Baccus, is not too keen on co-operating as he made his career when he solved the cold-blooded murders of the owners of a jewellery store in the town. And Decker suspects that Neil’s death is somehow linked. And his suspicions are confirmed when he learns that Neil’s father, Brandon Gatz, has been in jail for the past 20 years, a relatively light sentence for his part in the murder at the jewellery store and he is due for parole soon. Meanwhile Baccus has agreed to help on condition that Decker takes his daughter, Lenora “Lennie” Baccus under his wing who, because of sexual harassment, left Philadelphia where she was based. Coincidentally, Decker’s daughter, Cindy, was her commander. Lennie is still wet behind her ears and Decker thinks she is keeping tabs on his movements for her father. So he keeps her at arm’s length but she does have a mind of her own and takes matters into her own hands with unintended consequences. When Decker gets hold of something he is like a dog with a bone. The cold case grows wings of its own and leads Decker into some very dark corners, with more dead bodies, then one of Neil’s closest friends disappears. Finally, Decker with the help of Rina, puts the pieces together to solve the mystery. The key is a set of old black and white photographs. Walking Shadows is the 25th thriller featuring Decker and Rina, who in this book seems to have a cameo role instead of a more substantial part. 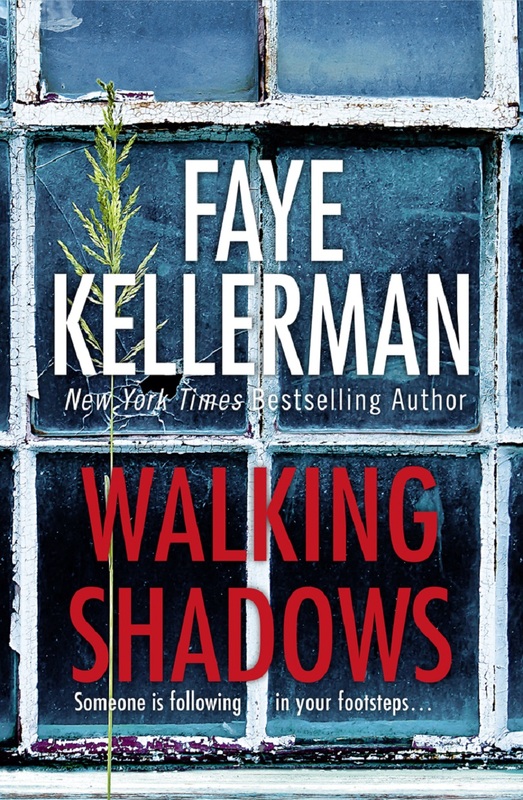 Many of the characters from the other books in the series feature in Walking Shadows: Tyler “Harvard” McAdams, who is about to graduate from law school and is being mentored by Decker; Greensbury police captain, Mike Radar and Kevin Butterfield, among them. An excellent police procedural and a good read that will keep you entertained from page 1.